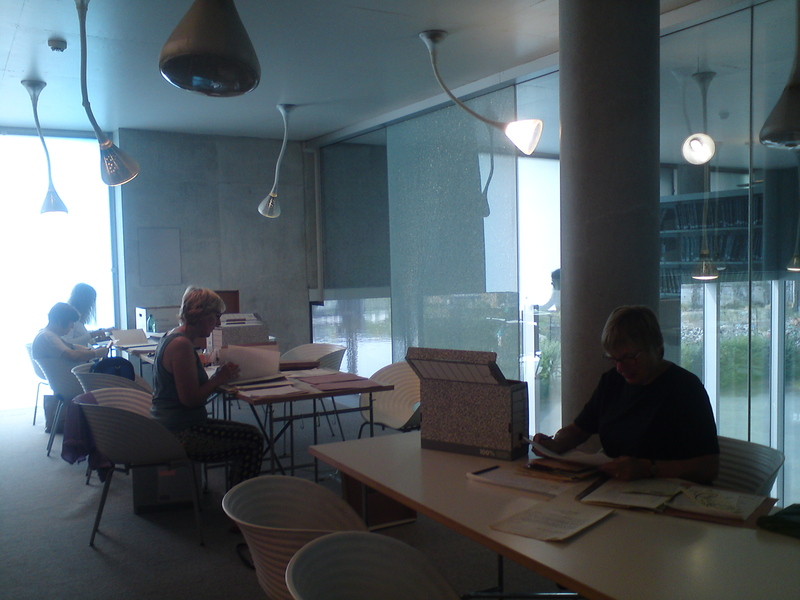 Our ‘Retired not Tired’ Dance for Health archiving group comprising Jane Mandlik, Gill James, Hilary Ball and Ann Lewis, hard at work. So we have come to the end of term and our hard working volunteers are finally having a bit of a breather. They have been working extremely hard with amazing results! 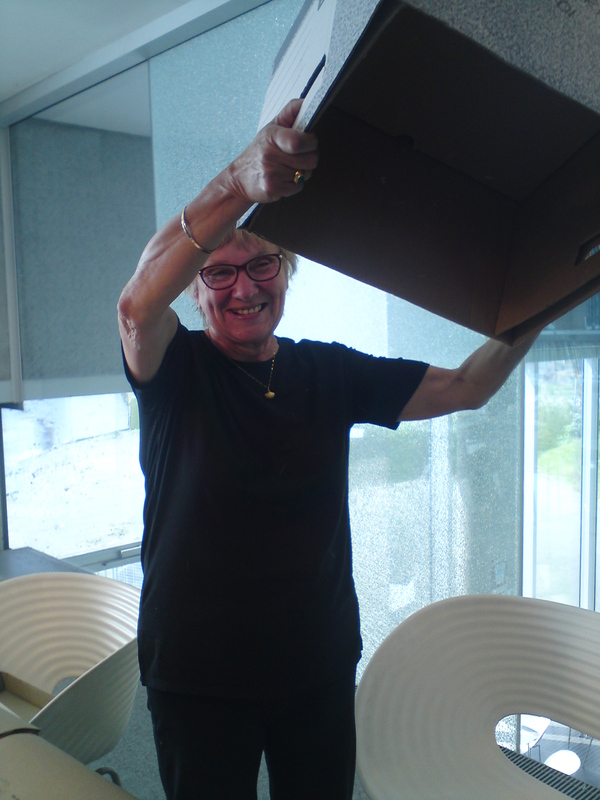 Ann Lewis finishes listing her box of Peter Brinson material. Gill James and a Ballet for All flyer advertising the first ever time that members of the Royal Ballet and the Martha Graham Company performed together on the same stage, at the Theatre Royal, Stratford. Held in the Peter Brinson Collection in the Laban Archive. 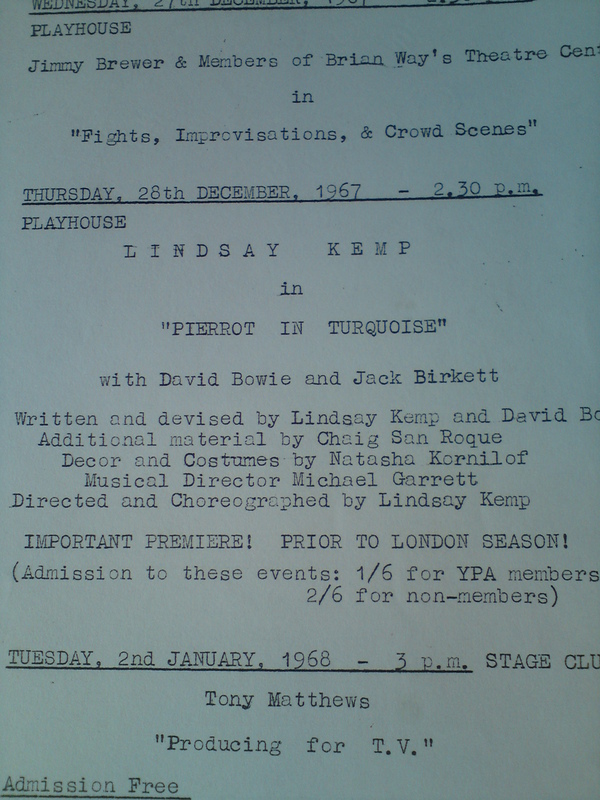 Extract from a programme of the Young Playhouse Association where a certain David Bowie was performing in 1967 in a work by Lindsay Kemp. Held in the Peter Brinson Collection in the Laban Archive. 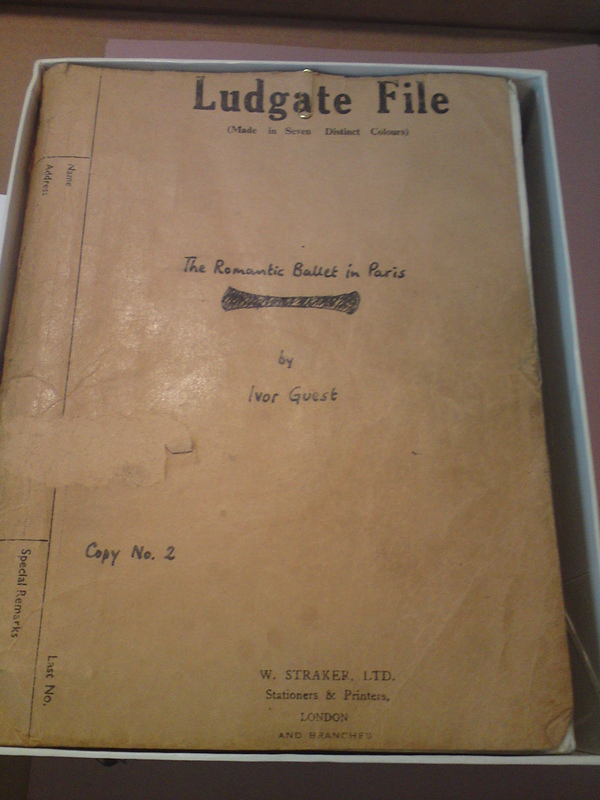 Printed manuscript, with corrections, of ‘The Romantic Ballet in Paris’ by Ivor Guest, a standard work for dance historians, first published in 1966. This manuscript is dated 1965. Held in the Peter Brinson Collection in the Laban Archive. 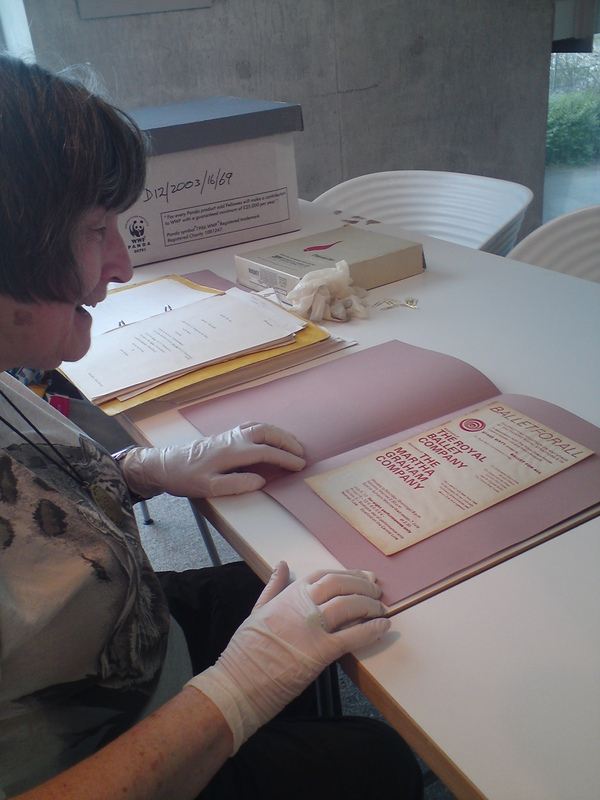 These items will soon appear on our Laban Archive catalogue – have a browse to see what else we have! This entry was posted in Archive, Volunteers and tagged 'Retired not Tired' Dance for Health Archive Group, Ann Lewis, Ballet for All, David Bowie, Gill James, Hilary Ball, Ivor Guest, Jane Mandlik, Martha Graham Dance Company, Peter Brinson Collection, Peter WIlliams Collection, Sara Manazza, volunteers. Bookmark the permalink. 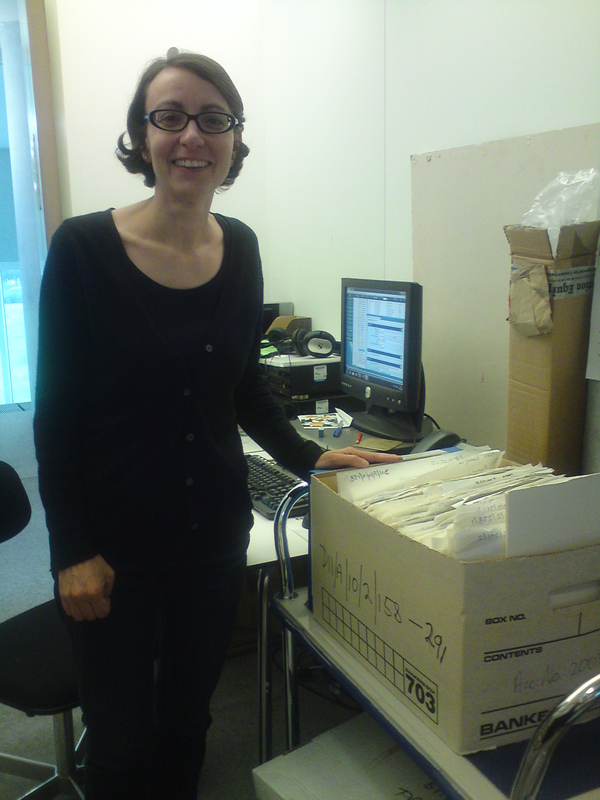 ← We’ve reached a total of 17,000 searchable catalogue records on the Laban Archive catalogue!